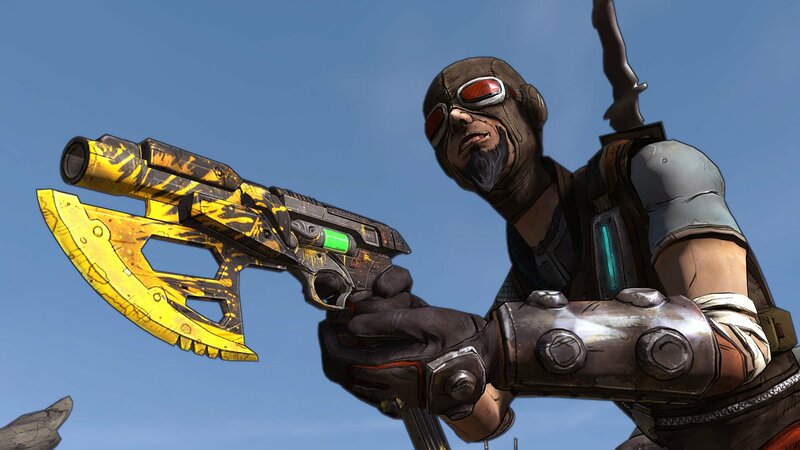 Users unhappy about the Borderlands 3 exclusivity deal with Epic Games Store are review bombing the game on Steam. The news of Borderlands 3’s exclusive launch on the Epic Games Store has left many fans unhappy, and some have turned to review bombing the original games on Steam to show their displeasure. Earlier today Gearbox Software released the first official game trailer for Borderlands 3, detailing the upcoming shooter’s release date, as well as its exclusive PC launch on the Epic Games Store. This is, of course, just one of many games to make the jump to the Epic Games storefront, and while Epic doesn’t have a complete exclusivity deal with 2K and Gearbox, Borderlands 3 is still coming to Steam and other storefronts, many fans are unhappy about the deal. This has led to several users making their way over to the Steam Store pages for the games in the original series, where they’ve begun to post negative reviews. These reviews, of course, are directed at Epic Games and even Tim Sweeney, the CEO of Epic Games. You can see the reviews yourself on the official Steam Store, if you’d like. The effects of the review bombing can be seen in the recent reviews score on the Steam Store page for Borderlands GOTY. It’s sad to see this kind of response to the exclusivity deal, especially when the original Borderlands and the other entries in the series were all solid games. It’s a weird way to show disapproval for a decision that the company has made. Again, it isn’t like Borderlands 3 is never coming to Steam as the exclusivity deal only lasts around six months, until April 2020. This doesn’t really do anything to hurt the company in any way either, especially given the fact that the remastered version of Borderlands is out today, which means even more positive reviews are coming in. It will be interesting to see how long the review bombing continues. This isn’t the first time a series has been review bombed on Steam after a sequel was announced to be exclusive to the Epic Games Store. We saw the same kind of thing happen when Metro Exodus was announced as an exclusive and was subsequently removed from Steam. You can learn more about Borderlands 3 by heading over to the official website. I wonder if the people who do this are the same people who got in a froth during the height of the console wars and such. Like if the average age of these people is going up, or if it’s always just people of a certain age group, and that the prior complainers grew out of it. Steam needs to take their anti-review bombing algorithm one step farther and start removing people's ability to review games if they've participated in reviewing bombing. A better solution would be to implement a rule in which you simply can't write a review for a game unless you've put in X amount of hours total, and a minimum Y of those hours was actually in the last month. So you didn't actually play the game? No review. You played the game, but haven't touched it in years? No review. lol, hey guys let's review bomb a completely unrelated game on the platform that the game we're mad about isn't even present on.